Mirsalim Asadov, head of laboratory №6 from 04.10.2016 was sent to Moscow , to address with report at the annual meeting on the Scientific Council of the problem of functional materials for electronic appliances of IAAS(International Association of the Academy of Science). Aliyev Ziya, head of department "International relations, grants, and innovations" from 30.09.2016 was sent to France, to discuss new researches and in cooperation with the scientific planning of joint research works with Aix-Marseille University. 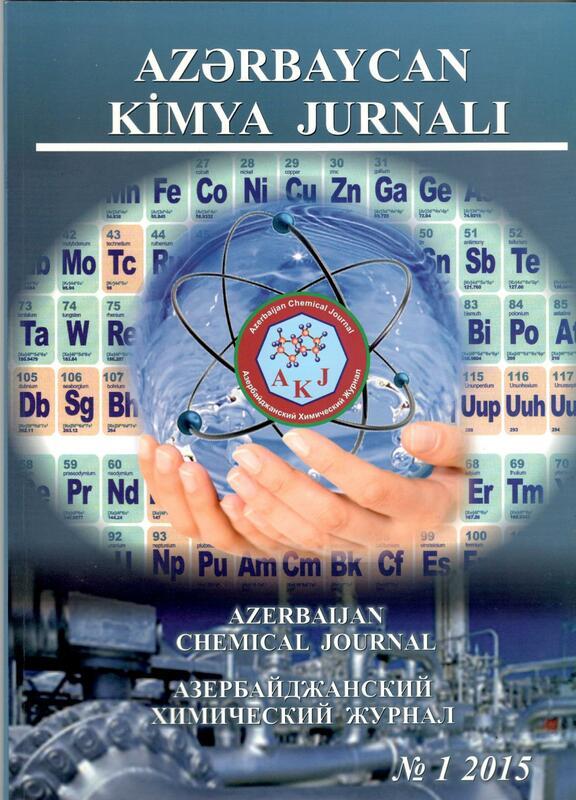 Director of the Institute academician Tagiyev Dilgam and Doctor in Chemistry, head of the laboratory “Nanoelectrochemistry” and Electrocatalysis(№3) Aliyev Akif were sent to Georgia, Batumi from 20.09.2016 to participate in the international conference devoted to the 60th anniversary named after R. Agladze of Georgian Institute of Inorganic Chemistry and Electrochemistry . Academician Dilgam Taghiyev director of the İnstitute was on academic mission to Sorrento city of Republic of Italy from 26.06.2016 to participate in the International conference on “Catalytic polimerization of olefins”. Eldar Zeynalov, Doctor in Chemistry, head of laboratory №28, from 15.05.2016 was sent to Lvov and Ternopol cities (Ukraine) to participate as a speaker and a member of the International Committee in the 8 –th International Scientific –Technical conference “Progress in oil –gas –refining and oil –chemical industry” and in the 10 –th International conference “Electronic processes in Organic and Inorganic Materials” in Polytechnic National University and in the Institute of Physics of UNAS. Aliyev Ziya, head of department “International relations, grant projects and innovations” from 02.05.2016 was sent to Spain, Donostia San Sebastian for 39 days to conduct scientific research in the frames of joint scientific collaboration in the field of topological isolators research and synthesis. Eldar Zeynalov, Doctor in Chemistry, head of laboratory №28, from 30.03.2016 was sent to Bulgaria, Sofia city to address with report at the International seminar “Applied research in chemistry: Smart materials for a smart Future” in the frames of European Union programme Horizon 2020 “Researches and Innovations”. By the order of the President of ANAS’ from January 28, 2016 Deputy Director of the institute on scientific work Babanli Mahammad and the head of department “International relations, grant projects and innovations”, PhD in Chemistry Aliyev Ziya were sent to Stutgart city, Germany on 31.01.2016 to the 30 –ieth international seminar “Multicomponent heterogen equilibrium” organized by International Materials Science Society. Director of the Institute, academician Tagiyev Dilgam was sent to Madrid, Spain on 23.02.15 for 8 days to take part in the conference “Research of Energy and Multidisciplinary Metals”. Doctor in Chemistry, head of the laboratory “Nanoelectrochemistry and Electrocatalysis” Aliyev Akif was sent to Ukraine, Kiev on 22.04.15 for 10 days to the Institute of General and Inorganic Chemistry of UNAS with the aim of study the corrosion resistant properties of some layers, in the frame of grant project ET -2013. 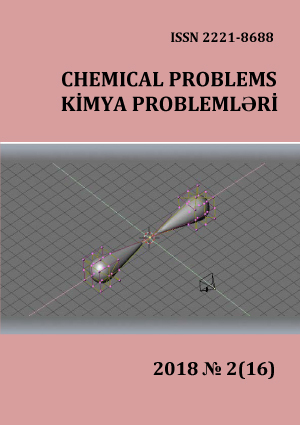 PhD in Chemistry, head of department “International relations, grant projects and innovations”, Aliyev Ziya was sent to Spain, Donostia San Sebastian for 2 months with the aim to conduct scientific research in the field of “Topological isolators synthesis and investigation of some physical properties”. Doctor in Chemistry, head of the laboratory “Physical –chemical technologies and their modeling”. Asadov Mirsalim was sent to Minsk on 24.05.15 for 8 days to address with a report at the annual council of BNAS and in order to get acquainted with the programme “In the centre of Metalkeeping”, to investigate inorganic and semi –conductive substances in the joint project. Doctor in Chemistry, head of the laboratory “Oxidation of hydrogen peroxide in the presence of nanocarbon catalysts”, Zeynalov Eldar on 30.06.15 for 6 days was sent to Georgia, Batumi State University to take part in the international symposium “Polymers and Modern Metals”. Doctor in Chemistry, head of the laboratory “Nanoelectrochemistry” and Electro catalysis Aliyev Akif was sent to Turkey, Istanbul on 21.07.15 for 10 days in order to get acquainted and to investigate the obtained corrosion –resistant thin sheets. Doctor in Chemistry, head of the laboratory “Electrochemistry and Electrocatalysis of rhenium alloys” Salahova Elsa was sent to Turkey, Istanbul on 23.08.15 for 7 days with the aim to get close acquainted and to collaborate with Istanbul Technical University. Scientific worker and part –time researcher, employees from the laboratory “Zeolite catalysis” Najaf –Quliyev Ulvi and Agayev Fuad on 01.09.15 for 10 days were sent to Turkey, Istanbul to become familiar with the company SEM laboratorial equipment and to collaborate with the company. PhD in Chemistry, head of department “International relations, grant projects and innovations”, Aliyev Ziya was sent to Spain, Donostia San Sebastian on 01.10/15 for 2 month with the aim to carry out joint scientific –research works with the international laboratory programme “Advanced Materials for Spintronics and Quantum Computing”. Academician Dilgam Taghiyev as an author of reports included into the program and member of Scientific Committee of I International Turkish Congress on Chemical Sciences and Technologies and head of laboratory, doctor of sciences Vagif Ahmadov were sent to participate in the congress held in Sarajevo city of Bosnia and Herzegovina for 7 days dated from 27.10.15. Deputy Director on scientific works Babanlı Mahammad on 07.12.15 was sent for 5 days to the Institute of General and İnorganic Chemistry of Russian Academy of Sciences according to SOCAR grant projects. Head of laboratory Eldar Zeynalov was sent to Germany, Berlin Technical University on 16.12.15 with the aim to carry out joint scientific works in the field of functionized hydrocarbon nanopipes. Head of laboratory Akif Aliyev was sent to Nakhchivan Autonomous Republic on 17.12.15 for 5 days with the aim of discussing the further scientific perspective links with Nakhchivan Department and investigations of the samples obtained in laboratory with the help of electron microscope.